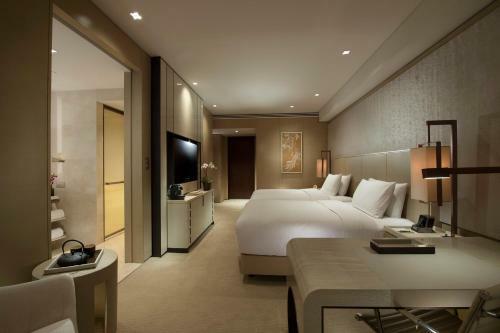 A heated pool, in-room iPod docks and a location steps from the metro help guests live like locals at the Conrad Beijing. 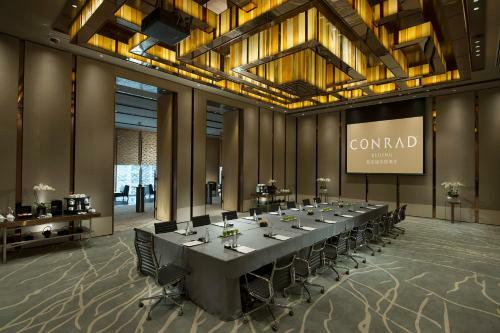 The high-rise Conrad boasts 289 rooms that each feature a 46-inch flat-panel TV, Nespresso machine, iPod dock, mini-bar, desk and 24-hour room service. The bathrooms are equipped with double vanities, heated floors and TVs inset in the mirrors. Wi-Fi is available for an added fee. Guests sip complimentary coffee in the lobby or feast on hot meals at the five in-house restaurants and lounges. Road warriors get down to brass tacks in the business center, while active guests step it up in the 24-hour fitness room. 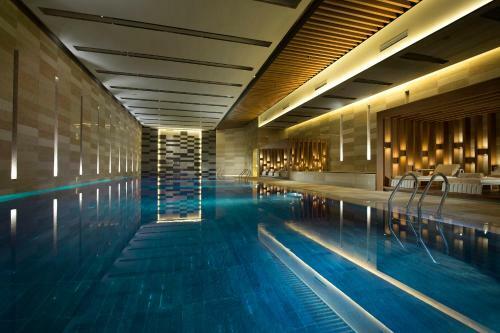 You'll also find a heated indoor pool, hot tub, sauna and full-service spa on the premises. Parking is available for an additional fee. 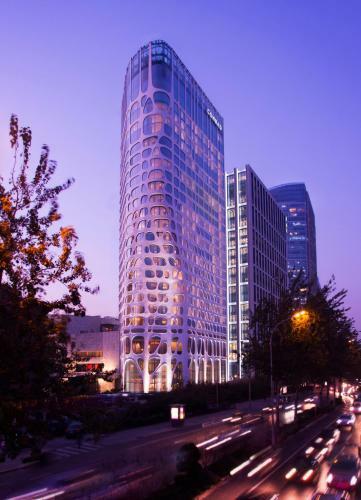 Located in Chaoyang District on the east side of the city, the Conrad is three miles east of Tiananmen Square. Visitors stroll 10 minutes to either the Guomao or Hujialou metro stations. The Forbidden City and Chairman Mao Memorial Hall are within a five mile radius. Beijing Language and Culture University is 20 minutes north, and the Summer Palace is a half-hour west. Beijing Capital International Airport is 15 miles from the hotel. The staff have been taking care of us especially the lady in the front desk with white framed glasses. Besides, the manager was very kind to assist us around. Being told to wait until 2pm to go to the room without properly checking if there was any rooms available. After a one minute check there were rooms and it was very obvious that they didn't want to check because I had booked online. Having to pay for WiFi. Ten years in China and it's the first time I've seen this. The excuse is that you need to book direct so using booking.com basically makes you a second class guest - they actually punish you for using this site. Basic things like the telephone not working. The restaurant experience was poor. Bringing the wrong food and drink...Slow (I speak Chinese). The hotel is wonderful. The staff are really kindly and efficient helping us during the stay. The roam is big, well designed (elegant) and comfortable, and with a very nice view to the modern part of the city. The breakfast is very good. 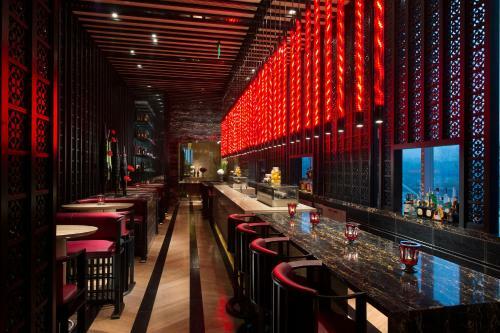 The two restaurants, the VIDI bar and the lounge they are well designed. We loved taking a glass of wine in the well decorated lounge, with a very nice lounge music. The staff at the concierge was excellent, getting me tickets to two sold out events; Cola and Jack. The breakfast staff was very kind, especially a nice young man on internship, Rully. Overall a great stay! Great location. Room and bathroom was spacious. Pillows was huge and bed comfortable. Quality of the room is poor, e.g. stained carpet, cracked washbasin. Room rate is overpriced considering the worn quality. Food prices are overinflated for average food.